The WhatsApp launched WhatsApp Business app and WhatsApp Business API last year. In an effort to fuel the growth of India’s entrepreneurial and the small business community, WhatsApp announced the partnership with Invest India on 31st October 2018. Today it has announced WhatsApp Grand Challenge for StartUps in partnership with Invest India. Entrepreneurs with highly innovative ideas, business models that solve for a local India problem, making a large scale socio-economic impact can apply latest by 10 March 2019, said the company. Applications will be evaluated by an independent evaluation committee being curated by StartUp India. The best 30 ideas will be shortlisted for the subsequent round and to 10 in the following round. The selected 10 ideas will be invited to participate at the live pitch day during the grand finale and will be announced in May 2019. A total of $250,000 to the top 5 winners will be up for grabs. 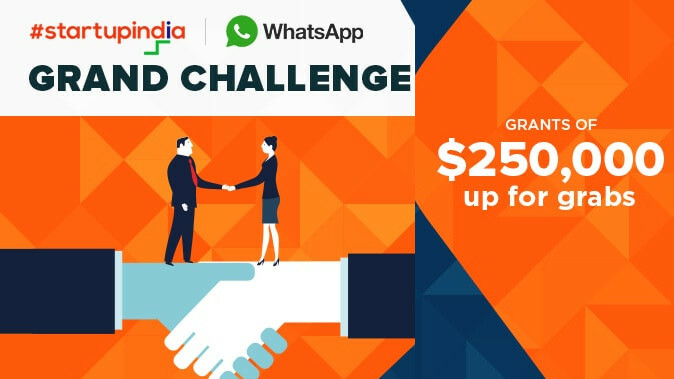 You can check out the more WhatsApp Grand Challenge details on Startup India website.